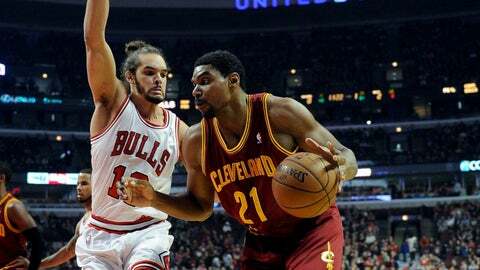 Cavaliers center Andrew Bynum has been suspended for conduct detrimental to the team, Cavaliers General Manager Chris Grant announced today. Bynum did not travel with the team to Boston last night for the team’s game this afternoon at 1:00 p.m. vs. the Celtics and has been excused from all team activities indefinitely. His status will be updated as appropriate.